As neuroscientists examine challenging questions about the complexities of the central nervous system, new tools to be developed at Cornell will provide them with an unprecedented glimpse into the inner workings of the brain thanks to a five-year, $9 million grant from the National Science Foundation. 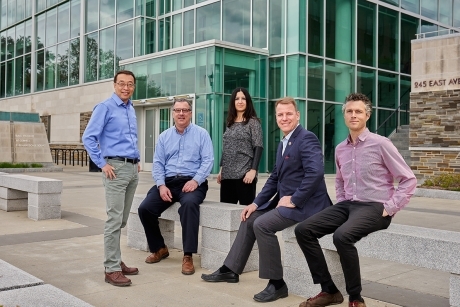 The grant will establish the Cornell NeuroNex Technology Hub, which will focus on researching, developing and disseminating new optical imaging tools for noninvasive recording of neural activity in animals. 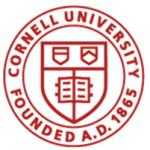 It will also establish the Laboratory for Innovative Neurotechnology at Cornell (LINC), where engineers and biologists will collaborate on developing and testing the tools. Deep imaging of intact brains – Multiphoton microscopy, invented at Cornell, has allowed neuroscientists to record the activities of individual neurons up to approximately 1 millimeter deep into a mouse brain. However, the mouse brain is about 8 millimeters thick, and even thicker in larger animals. The hub will optimize a recently developed three-photon microscope and focus on making the tool widely available. Imaging of large and multiple neural regions – The best whole nervous system images have come from laval zebrafish, but existing imaging tools cannot holistically view larger brains, even at the scale of an adult zebrafish. Using a combination of two- and three-photon microscopy, the hub will develop a new tool to simultaneously observe neurons in different regions of the mouse brain and the spinal cord. Faster imaging for volumetric recording – To record large numbers of neurons, high-speed imaging will be achieved through the development of an adaptive illumination microscope in which the sample becomes an integral part of the imaging system. By leveraging prior knowledge of the sample, optimum laser exposure will be used to record the activities from a large number of neurons. Within five years, the hub aims to integrate the three tools to demonstrate the deepest, high-resolution, large-scale neural activity recording ever achieved. 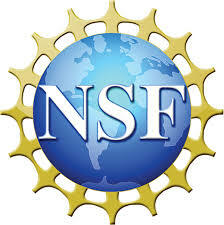 “It is well recognized that neurotechnology development is essential to push the envelope of neuroscience. At the Cornell NeuroNex Hub, we will create, optimize and then disseminate the new tools that will enable biologists to attack some of the impossible problems in neuroscience,” said Chris Xu, professor of applied and engineering physics, and principal investigator for the hub. Using the technology, biologists hope to explore unanswered questions, such as how animals consciously switch from autonomous locomotion to deliberate limb placement. “Behaviors emerge from interactions of neurons widely distributed in brains, but we do not yet have the tools we need to simultaneously monitor single-cell activity widely in the brains of diverse species,” said Joseph Fetcho, professor of neurobiology and behavior, and a senior investigator for the hub. The hub stems from the larger Cornell Neurotech program launched with a multimillion-dollar gift from the Mong Family Foundation in 2015 with the same goal of encouraging cross-disciplinary research to develop new tools for neuroscience. The hub will also educate the next generation of scientists by involving graduate and undergraduate students who will learn to collaborate across such disciplines as biology, computer science, engineering, medicine and physics. A large number of academic and industry partners across the nation have already signed on to participate in the hub, which will be led by Xu, Fetcho, Chris Schaffer, associate professor of biomedical engineering, Nilay Yapici, assistant professor of neurobiology and behavior, and Mert Sabuncu, assistant professor of electrical and computer engineering and of biomedical engineering.